Not only does Hoerr’s specialize in asphalt pavement, we also install and repair concrete pavements for both residential and commercial properties. The secret in creating a durable concrete pavement is in the material and workmanship of the installation crew. 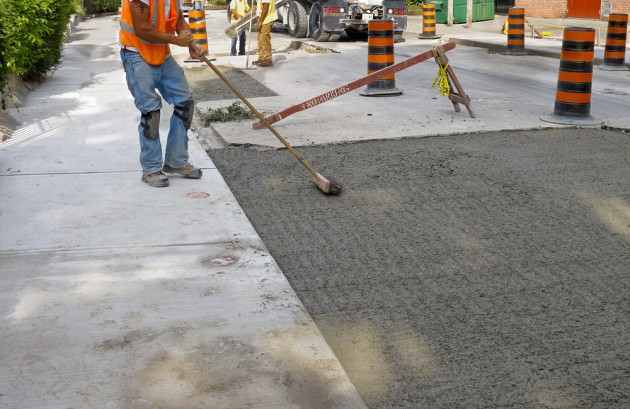 A knowledgeable contractor knows that choosing the right raw materials and handling the concrete mixture properly is crucial to creating a good pavement. Heat, moisture and high pressure from extremely heavy vehicles can wreak havoc on a concrete pavement, causing it to fracture, groove or sink. Our concrete specialists can repair and reinforce areas under high stress, remove and replace concrete structures. Call Hoerr’s Blacktop and Sealcoating, if your project is in the Peoria, Illinois area, at 309-222-2979 or contact us here. You can also contact us here to get a free estimate for a concrete pavement project. We are proud to serve the Peoria, Bloomington, and Galesburg areas with the best quality asphalt paving and maintenance work available on the market.